What would the famously dead have to say from the other side? 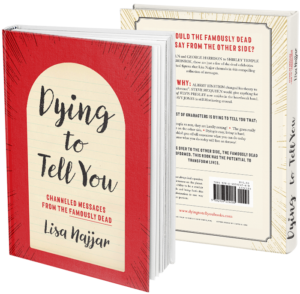 From Abe Lincoln and George Harrison to Shirley Temple and Marilyn Monroe, these are just a few of the dead celebrities and famous historical figures that Lisa Najjar channels in this compelling collection of messages. FIND OUT WHY: Albert Einstein changed his theory to “The Theory of Irrelevance”. Steve McQueen would give anything for another shot at living! Elvis Presley now resides in the heartbreak hotel. Davy Jones is still Monkeeing around. When we lay people to rest, they are hardly resting! The grass really IS greener on the other side. You shouldn’t put off till tomorrow what you can do today because what you do today will live on forever! Since crossing over to the other side, the famously dead have transformed. Let them be your guide in creating more passion and meaning in your life – and in your world! Lisa Najjar has always had a passion to help raise consciousness on the planet. As a medium, her ability to be a conduit from the other side and bring forth this very important information is one way that she is living her passion. 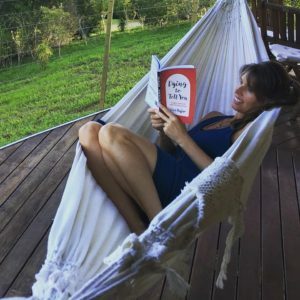 A book that has touched me so deeply: Dying to Tell You…. (Messages from the Famously Dead) by Lisa Najjar. I am so grateful it has come into my life. What do Marilyn Monroe, John Lennon, Michael Jackson, George Harrison, Jesus, Mother Mary and Mark Twain (and many more) want to tell us - NOW from the BEYOND. Such uplifting messages, each one completely unique and with a different focus. Lisa listened to our music while receiving many of these messages. You may be a sceptic or a believer in the supernatural, but either way, reading Lisa Najjar’s book, ‘Messages from the Famously Dead’, will undoubtably put you in a positive mood and increase your optimism about life as well as death. ~ Sharon Gannon, founder of the Jivamukti Yoga method. I highly recommend Lisa Najjar’s book. It connects you to another realm in a very positive way and reminds us of the Mystery of Life. 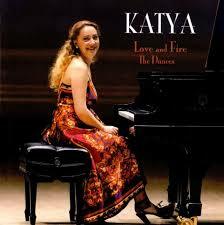 ~ Katya Grineva, world-renowned Russian pianist. As a young adult (21) I really enjoyed this book! Very simple, and easy to comprehend. This book helped to open up my horizons to the possibilities around us. I absolutely love the messages. I recommended to all my friends. ~ M.F. What a cool and fun book to read. The messages are serious and deep, but it reads like a beach book (I read it on a lounge chair!) because you are almost in awe of the possibility that these messages could really be coming through from the other side. The tone really changes from messenger to messenger, and you can't wait to get to the next message. There were days when I would just pick up the book and open it randomly to a chapter and say to myself, "So what does Paul Newman have to say to me today?". (Love, love love.). Great reminders to make the most of our time in classroom earth. ~ Kathryn K.